London Bay Homes LIC#CBC057242. 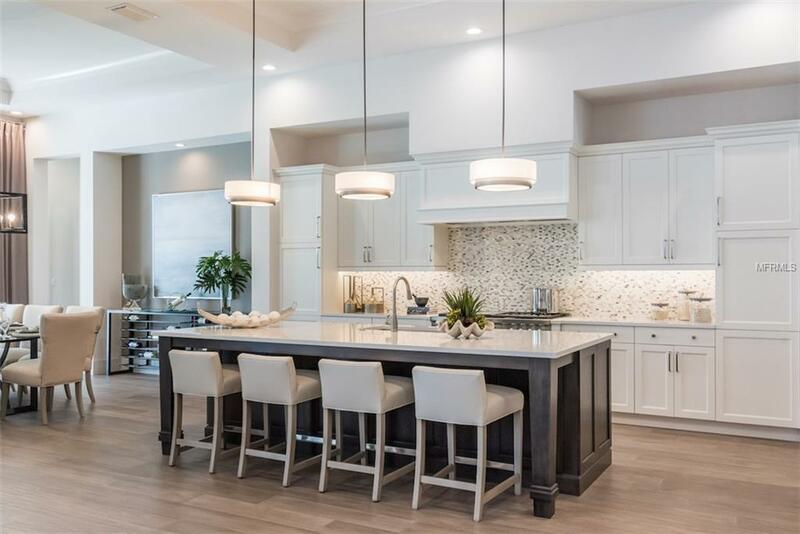 The Pembrook showcases London Bays latest architectural designs, and offers an open floor plan that emphasizes flowing, open space connections among the great room, kitchen and dining room. The great room opens to a covered loggia, while the bonus rooms zero-corner pocket sliders flow to a wraparound alfresco space, which offers living and dining areas, as well as an outdoor kitchen. Enjoy sweeping views of The Founders Clubs Robert Trent Jones, Jr. designed championship golf course from the homes pool and spa. Fully furnished by our award-winning interior design company, the Pembrook offers 3,560 square feet of living space. Owners can retreat to a master suite with two walk-in closets, a bathroom with a freestanding tub, custom vanity with dual sinks and a double-entry shower. The Pembrook's two guest suites have private full baths and walk-in closets. *Floor plans and drawings are conceptual only and should not be relied on as express or implied representations of the final detail of the residences. Amenities Additional Fees Optional Club Membership With Extra Fees. Listing provided courtesy of The Founders Club Realty Llc.